In order to search the duplicates in excel, open your document. Select the data in the document. 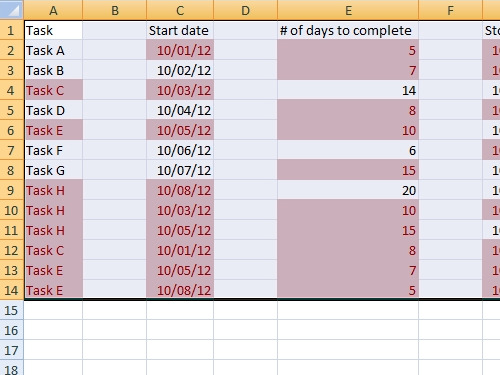 Click on “Conditional Formatting” in the “home” tab. 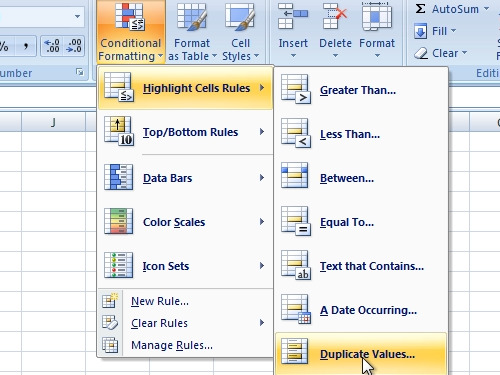 In the pop-up menu go to “highlight cells rules”, then choose “duplicate values”. In the “duplicates values” window select a color to highlight duplicates with and press “ok”. Now all your duplicates in the excel document are found and highlighted.